Robyn Spangler made her London debut in her vibrant tribute to her heroine Linda Ronstadt. The story of this show’s birth and its arrival in London is as interesting as the piece itself. It is not just about Ronstadt, but also about Spangler and how Ronstadt’s recordings punctuated and illustrated episodes in her own life. Although Ronstadt’s illness is not alluded to in the piece, Spangler tells me afterwards she guessed something might be up when she was graciously given permission to do the work, when Ronstadt could have toured with the material herself. Spangler’s Musical Director Todd Schroeder has many projects on the go, one of which is the musical directorship of Universal Studios in Japan. This year, Universal Studios are in London auditioning for talent with Schroeder and he knew he would have a few nights off. He encouraged Spangler to bring the show here, as they have been working on the arrangements for some time and have cut a CD. Securing a booking in a city where she is unknown is no easy task, but it was holidaying in Australia armed with just her smartphone when she received word from The Pheasantry that she could have a slot. Right from the great strong opening with “Heat Wave” and “It’s So Easy”, where the audience immediately joined in, we knew this was going to be a good show. Spangler has a big ‘immediate’ voice, and her choices from the repertoire of over 500 Ronstadt recordings are astute and well balanced. Tributes can be tricky to get right. Inevitably, comparisons will be made, yet altering the material too much will disappoint those who love the original versions and want to sing or reminisce with them. Wisely not attempting to imitate that extraordinary artist, she and Schroeder selected some material to be presented in the original form e.g. the Nelson Riddle arrangements, and some to be re-worked to suit Spangler’s own expression, such as the affecting down-tempo “Hurt So Bad”. Others were given a more intimate, as opposed to rock feel ,with either rhythm section (for the CD) or simply piano accompaniment. 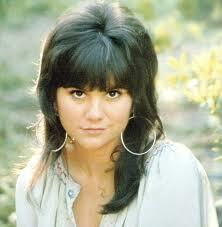 Ronstadt’s work covers a vast range from rock to folk to Latin, including in the Spanish language, and classical. Who could forget her wonderful Broadway debut as Mabel in “Pirates of Penzance, later re-created on film? Spangler gives a flavour of each, including a creditable regalia of “Poor Wandering One” from the operetta. Other standout numbers were a stonking “Back in the USA” and I particularly liked her moody “What’s New”, providing change of pace in Act I.
Spangler uses the space well, and there was a nice moment when she sat with Schroeder who provided additional vocals throughout the show, during “Hasten Down The Wind. Act 2 also featured two guest artists joining Spangler in the trio song “After the Goldrush” made famous by Ronstadt, Emma Lou Harris and Dolly Parton. These were Aletia Upstairs, fresh from her success in Edinburgh with her show on Mata Hari, and London based singer Akari Yamamoto, both of whom worked with Spangler at the renowned International Cabaret Conference at Yale. Her linking and patter is clear and interesting, and the show is well structured. Some of her humour did not quite carry, not so much because of cultural difference, but because our minds and inner ‘ear’ tends to work at a different pace in London to West Coast USA. On a subsequent visit, this could be surmounted with direction. The song of the night, though, was “Desperado”. It was here that Spangler gave us the most vivid insight into herself, whilst remaining respectful to the Ronstadt rendition. Like fine wine, it takes time for songs to really mature in an artist, and this process is underway with Spangler, as is evidenced by the greater degree of ownership shown in her singing since the recording of her CD, enjoyable though that is. Spangler could, and should, take this ownership further, trusting the lyrics at a deeper level and showing us more of her true uniqueness. Special mention must be made of Todd Schroeder’s technically brilliant and wonderfully powerful piano accompaniment. Clearly steeped in blues and rock and roll, his energetic presence and tremeandous contribution to this piece as a whole cannot be overlooked. The audience at The Pheasantry was a very respectable size, and the enjoyment and stimulation in the room palpable. Let’s hope she returns. This entry was posted in Cabaret Reviews and tagged cabaret, cabaret reviews London, fiona jane weston, London cabaret, Robyn Spangler, The Pheasantry, Todd Schroeder. Bookmark the permalink.